Since we know that most of our readers have a soft spot for this label, not to mention that we could not resist their blue theme – Blueberry field forever, we have decided to dedicate today’s post to Twin-set Girl (featured in spring 2014 for our beige week here). In a sophisticated shade of blueberry blue, this range contains all the key elements that characterize the whole collection: romantic lace lying on soft lining providing the delicate silhouettes an overall vintage-effect, floral prints on a blue background as a main motif or matched with an unexpected polka dot pattern, the inevitable leatherette jackets paired with beige garments in a navy and cream colour combination, and lace again to embellish cotton dresses carefully lined to create full skirts. Enjoy! Poiché sappiamo che la maggior parte dei nostri lettori ha un debole per questo marchio, per non parlare del fatto che non abbiamo potuto resistere alla sua linea in blu – Blueberry field forever, abbiamo deciso di dedicare il post di oggi a Twin-set Girl (che vi abbiamo già mostrato per la primavera 2014 nella settimana dedicata al beige: qui). In una sofisticata tonalità di blu mirtillo, questa gamma di abitini racchiude tutti gli elementi chiave che caratterizzano l’intera collezione: romantico pizzo adagiato su morbido tessuto che offre alle forme delicate un complessivo effetto vintage, stampe floreali su sfondo blu proposte come motivo principale o associato ad un inatteso pois, l’immancabile giacca in pelle portata su capi di colore crema e blu, ed infine ancora pizzo ad impreziosire abitini accuratamente studiati per creare effetti voluminosi nelle gonne. Buon divertimento! 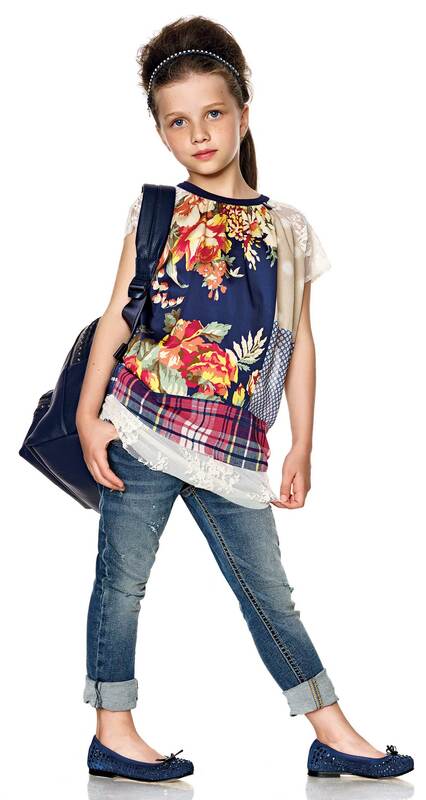 Twin-set Girl Spring Summer 2014, Blueberry field forever line, blue lace garments paired with denim. Photo from Twin-set. Twin-set Girl Spring Summer 2014, Blueberry field forever line, blue lace dress paired with denim jacket. Photo from Twin-set. Twin-set Girl Spring Summer 2014, Blueberry field forever line, blue lace dress with matching underskirt. Photo from Twin-set, elaborated by Fannice Kids Fashion. 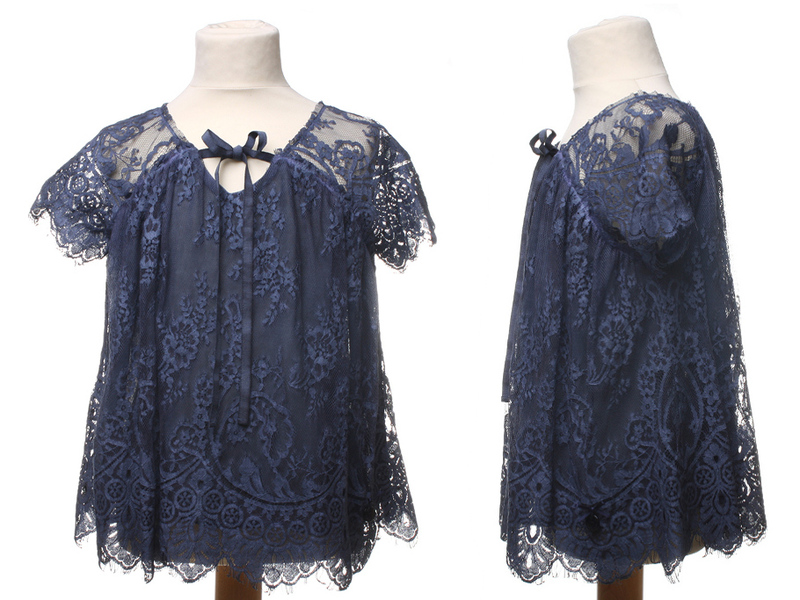 Twin-set Girl Spring Summer 2014, Blueberry field forever line, blue lace blouse with satin strap. 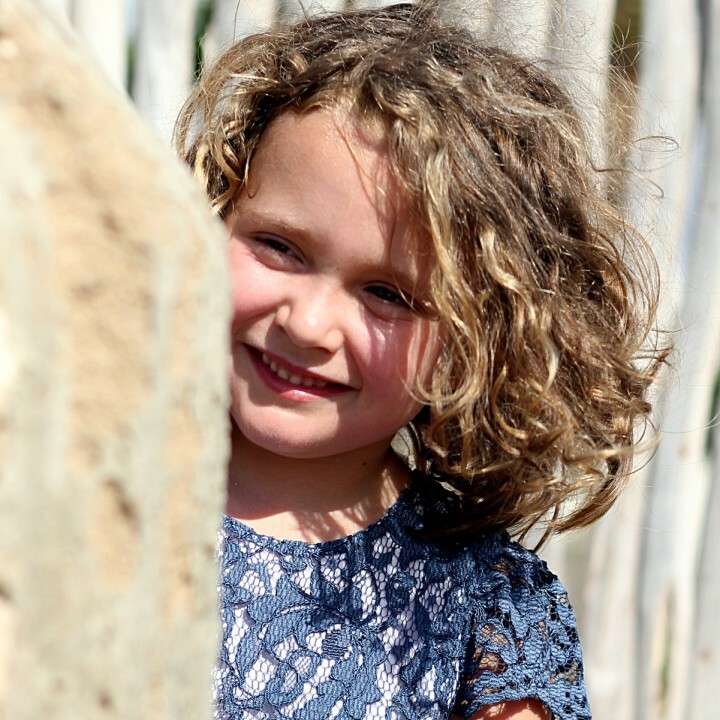 Photo from Anna Meglio, elaborated by Fannice Kids Fashion. 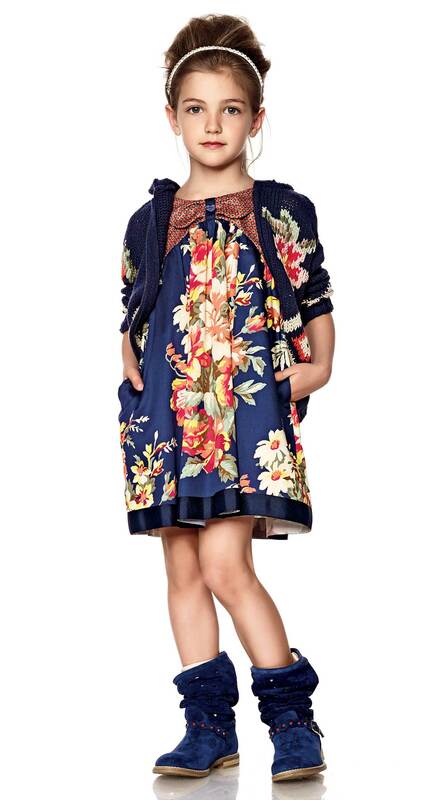 Twin-set Girl Spring Summer 2014, Blueberry field forever line, floral print on blue background dress. Photo from Twin-set. 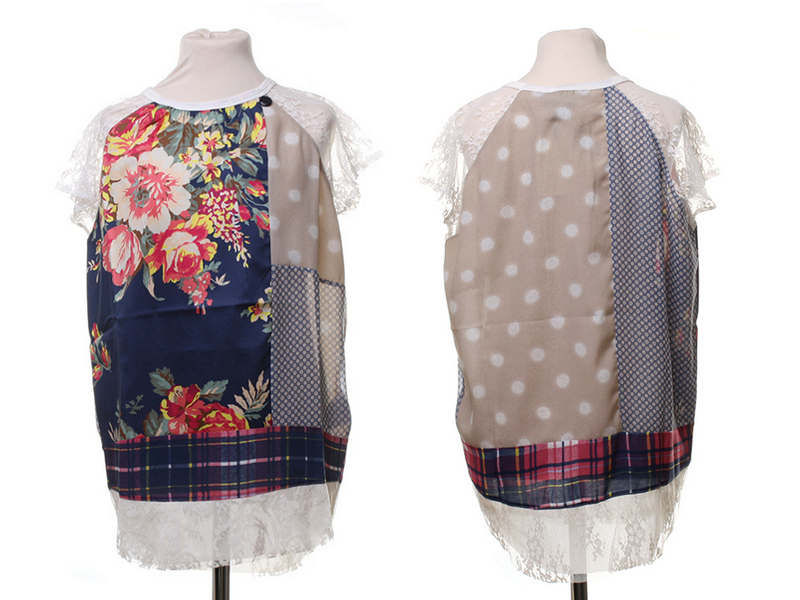 Twin-set Girl Spring Summer 2014, Blueberry field forever line, floral print on blue background matched with polka dot blouse. Photo from Twin-set. Twin-set Girl Spring Summer 2014, Blueberry field forever line, floral print on blue background matched with polka dot blouse. Photo from Anna Meglio, elaborated by Fannice Kids Fashion. 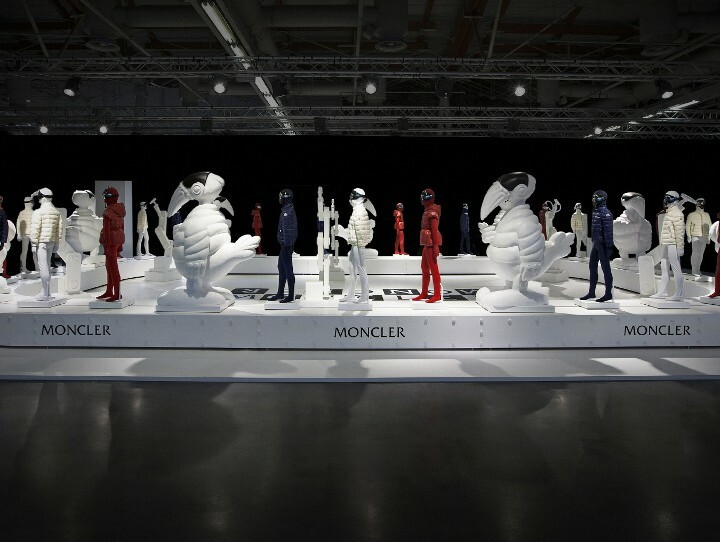 Twin-set Girl Spring Summer 2014, Blueberry field forever line, blue leatherette jacket with beige and blue dress. Photo from Twin-set. Twin-set Girl Spring Summer 2014, Blueberry field forever line, blue leatherette jacket with beige and blue dress. Photo from Twin-set, elaborated by Fannice Kids Fashion. 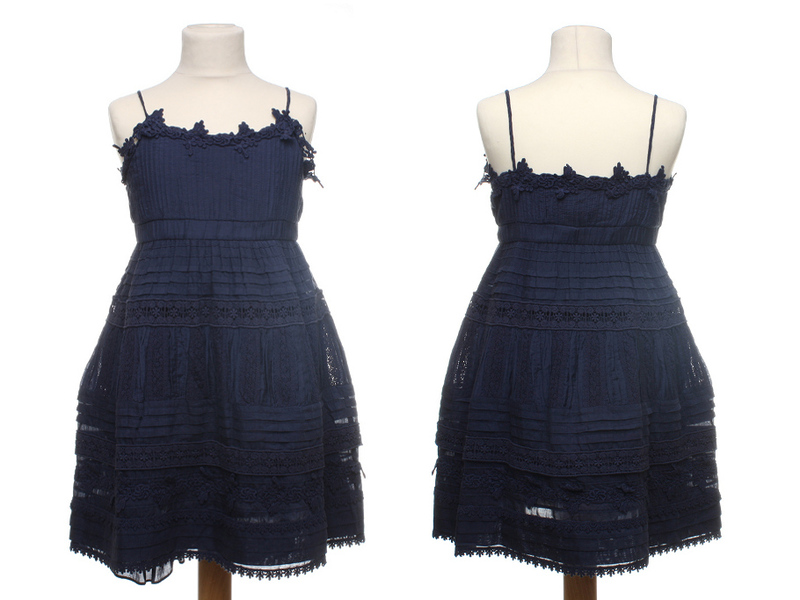 Twin-set Girl Spring Summer 2014, Blueberry field forever line, blue cotton dress embellished with lace. Photo from Twin-set. 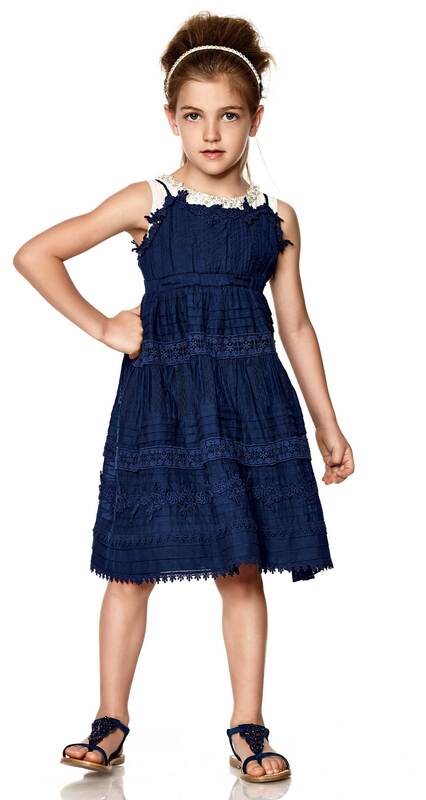 Twin-set Girl Spring Summer 2014, Blueberry field forever line, blue cotton dress embellished with lace. Photo from Anna Meglio, elaborated by Fannice Kids Fashion.